It's the week of Valentine's Day, and A.J. 's class is getting a foreign exchange student! His name is Pierre, and he's from France. But what happens when Pierre challenges A.J. to a duel (or at least a thumb war) over Andrea? One thing's for sure: when L-O-V-E comes to Ella Mentry, it spells the weirdest Valentine's Day story in the history of the world! 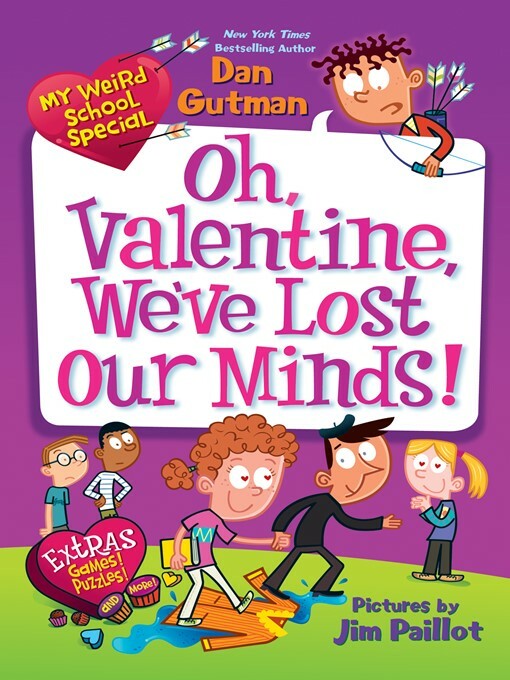 Bestselling author Dan Gutman brings his kid-friendly sense of humor to this special series of after-school, holiday-themed chapter books featuring hilarious stories and thirty-two pages of games, puzzles, and more. This is one weird Valentine's Day special you won't want to miss!